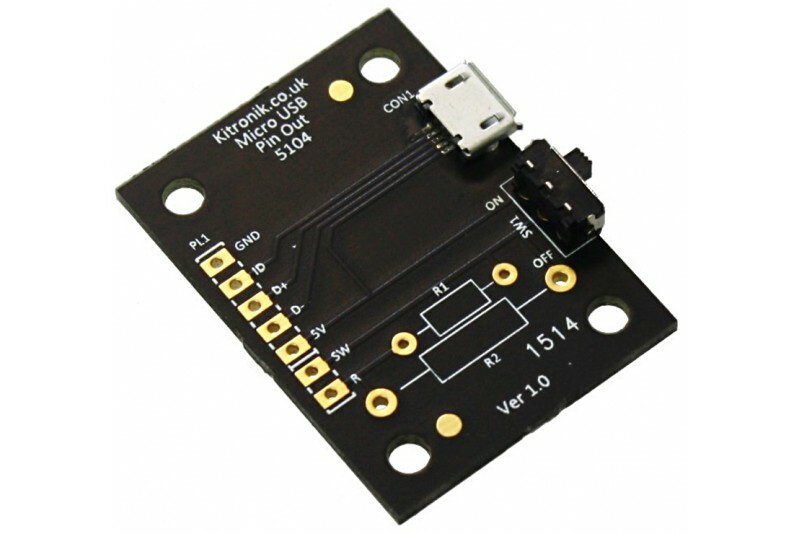 This Micro USB Breakout Board offers easy access to all the USB power and data pins as they are connected to large solder-able pads on the PCB, with 0.1" spacing. The board has two further outputs where the 5V power pin is connected through a switch or the switch and a resistor. This makes the board ideal for a variety of applications such as our Micro USB Lamp Kit. Fully compatible with Micro USB charges supplied with most mobile phones and tablets. 0.1" spaced pads suitable for use with standard pin strip. 1 x Micro USB Breakout, with Power Switch.